There's nothing better than a bowl of hot soup sitting next to the fire as the snowflakes scatter the ground! In most of my soups I like to add cabbage for its nutrients and texture. I find it compliments soups very well. 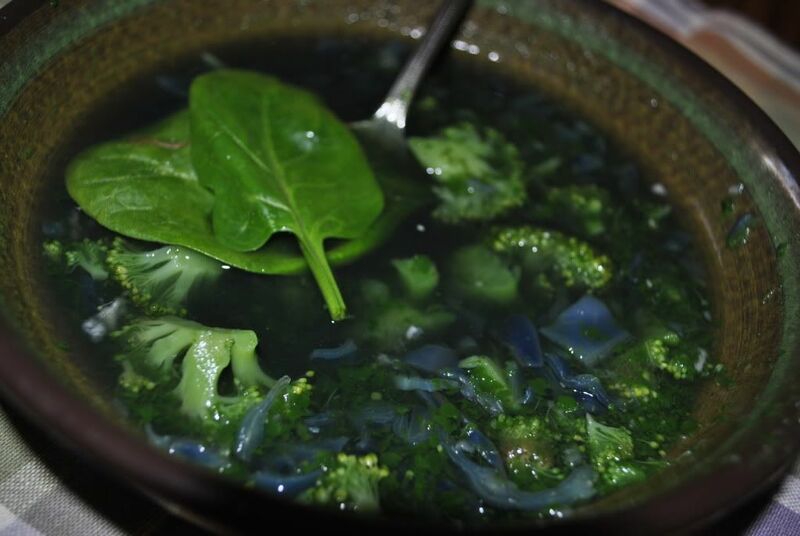 This leafy soup is very simple to make. It only takes 5 minutes prep time and 15 to cook. Step 2: Add broccoli and cabbage. Cook on medium heat for 15 minutes stirring occasionaly. After 10 minutes add celery salt, pepper, agave, and garlic.